Simply enter code mum2019 at checkout for 15% off our entire jewellery collection. Don’t forget to share the code with any other lovely mums who deserve a treat! See terms and conditions below. From left to right: Arrowheads in heather, Abstract Diamonds in azure and Art Deco Chandeliers in rainbow. 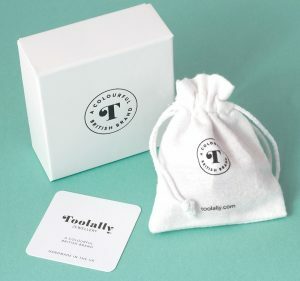 Don’t forget, all Toolally earrings come in beautiful packaging making them the perfect gift. Terms & conditions: Valid on jewellery only. Discount code not available on bags or gift vouchers. Valid until midnight Thursday 21st March.